Potatoes, celery and onions tossed in a classic mayo dressing … simple ingredients make the best recipes! 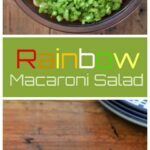 If you google or search up potato salad on the internet you will quickly discover that there are several ways this recipe can be made. It all depends on who you ask and what part of the country they were raised in. Almost all of them I have found include eggs. And a good majority have bacon. What surprised me though was how many of them had pickles or sweet pickle relish. 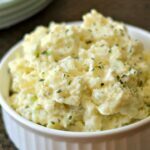 I have made potato salad in the past with eggs and bacon, but if I can be truthful, sometimes I just don’t have the energy to do all that. 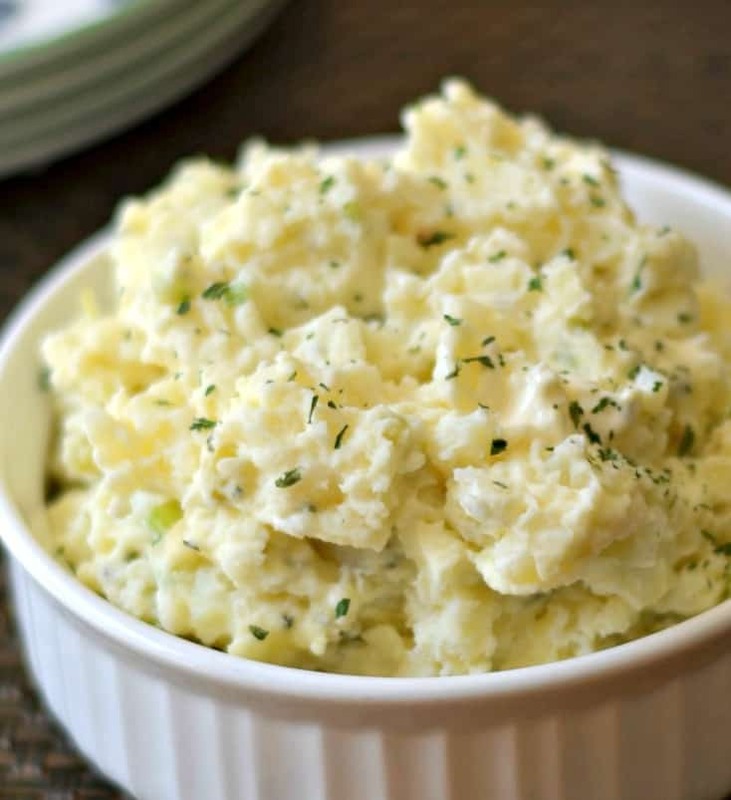 This is my mom’s classic potato salad recipe. I watched her make it a hundred times. There are no hard boiled eggs, there is no bacon, there are no pickles. Sometimes simple and classic are where its at. She and I differ a little bit in HOW the potato salad gets made though (like she boils the potatoes with the skin on, I do not). She just adds mayo directly onto the potatoes and mixes, while I have recently altered the recipe which adds a little sour cream and a tablespoon of mustard to the mixture BEFORE incorporating. But the one thing we both agree on (that is a critical part of this recipe) is at the very end to put your finger over the top of the apple cider vinegar jar and spritz the potatoes with vinegar. It brings it all together. Oh, and hers is always better than mine (of course). 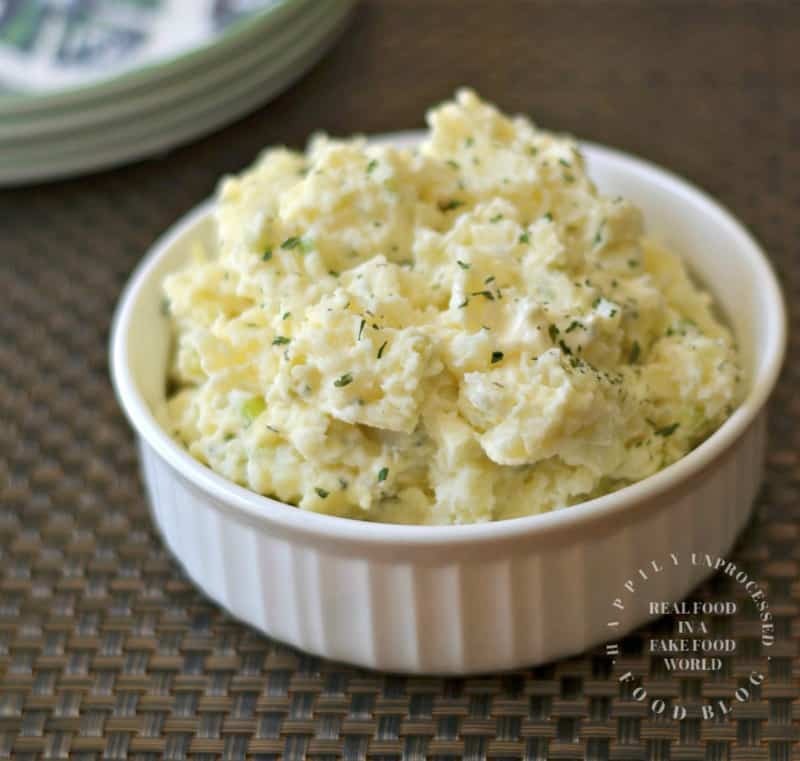 A classic easy potato salad using nothing but potatoes, celery, onion and a mayo based dressing. Meanwhile, dice the onion and celery and set aside. 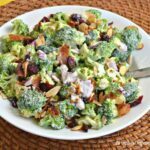 Make the dressing in a small bowl. Drain the potatoes and let them cool about 5 minutes or until they stop steaming. Mash very lightly with a potato masher keeping some larger chunks. Add the onions and celery and sprinkle with some salt and pepper. 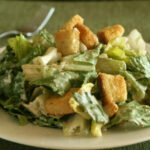 Add half the dressing and slowly fold until incorporated, adding more if necessary. Very similar to my mom’s recipe. 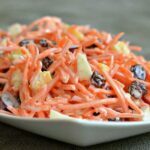 It was a best foods mayo recipe from way back when….sooo simple, so good!